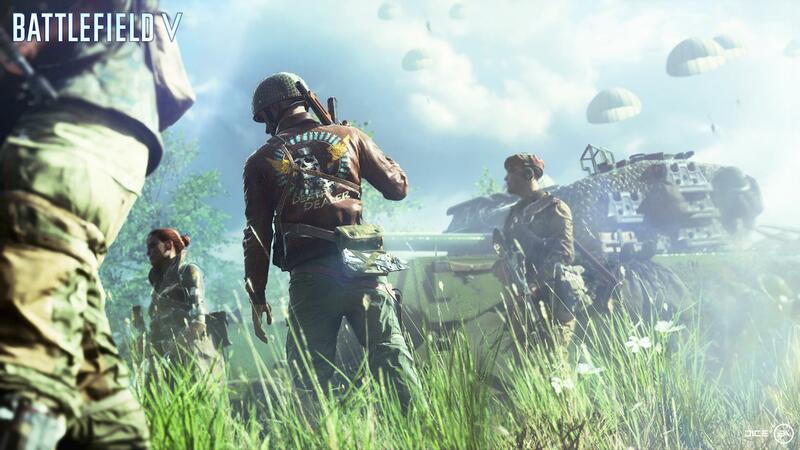 Since Battlefield V’s reveal in May 2018, the topic of authenticity has remained controversial. Battlefield often plays loose with historical accuracy. In this instance, however, the dam broke for some. This depiction of World War II has most notably come under scrutiny for its representation of gender and race in the armed forces. The studio responded with a statement that perfectly encapsulates its refusal to budge. To further its commitment to a semblance of authenticity, DICE has announced plans to walk back customization options. Recently, the developer hosted a livestream during Battlefield V’s open beta, featuring Producer Andrew Gulotta and Community Manager Dan Mitre. In the livestream, Gulotta and Mitre spoke about the customization options for avatars. Players can customize their character’s head, gear, and add face paint. Similar to weapons, new items are unlocked as the game progresses. Check out the livestream below. Discussion on customization begins around the 27 minute mark. We heard the community. We’re still looking at World War II through DICE’s lens, but how forward, how crazy we got with some of that? We heard the community, we understand there were some concerns about, hey, where’s the authenticity? We want players to be excited about customizing their characters with authentic gear. Is it possible? Nothing is off the table. Again, we’ll watch how the community reacts, maybe we’ll try something. The nice thing about something like the armory is we can put something out there, and if it doesn’t stick, it doesn’t stick. But first and foremost, we want to start with this authenticity approach. Battlefield V arrives on the PlayStation 4, PC, and Xbox One on November 20,2018.